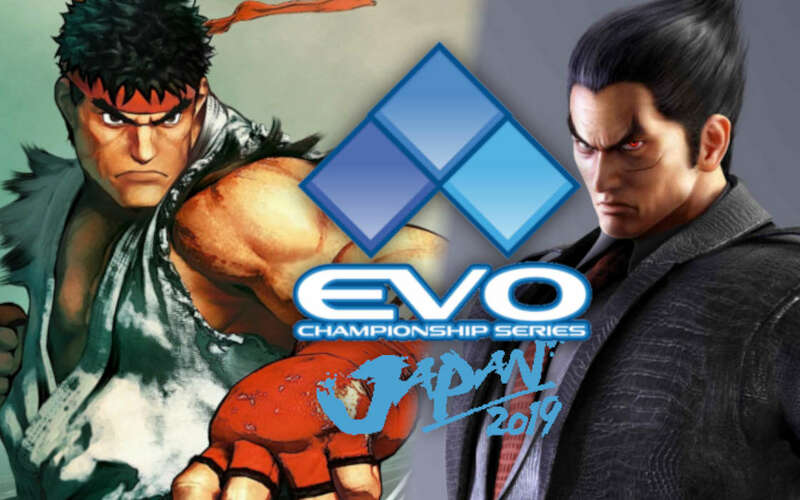 One of the biggest Fighting Game event in Southeast Asia, EVO Japan 2019, will take place from February 15th to 17th, in Fukuoka, Japan. It will feature 6 Main Event games, 2 of them are Street Fighter V: Arcade Edition and Tekken 7. Those tournaments during the event will count as a Premiere Events for the Capcom Pro Tour and a Major event for the Tekken World Tour. Japan has a rich history when it comes to fighting games. It is the genre’s birthplace where most of the biggest series that stand as pillars for the Fighting Game Community come from. Before EVO was recognized as the main competitive event it is today, the most popular and highly-skilled tournaments were in Japan, during the 2000’s, at a time when Arcade still reigned supreme as the competitive platform for fighting games. Winning events like the Super Battle Opera instantly promoted some players to the status fighting game legends. For the Evolution Championship Series, organizing a tournament in Japan was a natural outcome. Especially after the big moves made by the JeSU. Fighting Game Majors were always a place where the line between grassroots and professional players was blurry. A place where Free Agents frequently surprised people by putting outsiders and favorites out of the competition. But it’s easier for local Free Agents to make a name for themselves in Japan, rather than Las Vegas, the home of the main Evolution Championship series. Because of its competitive history, Southeast Asia SEA), particularly Japan and South Korea, are where incredible hidden talents can shine. Coupling EVO’s organizer mastery with those local hidden gems makes this event very interesting to follow. Capcom’s last entry for its iconic franchise was the first Premier Event stop for this year’s recently announced Capcom Pro Tour? The first fighting game to be approved as an esport title by the JeSU. 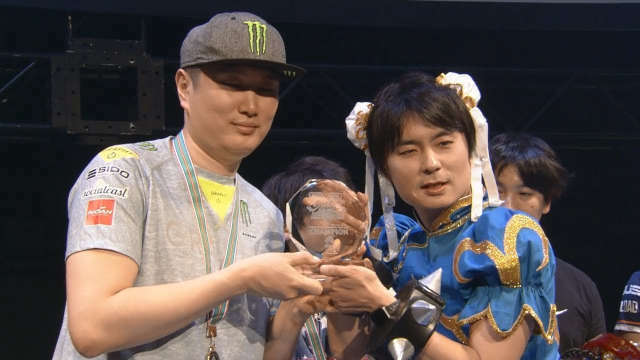 Contrary to the West, Street Fighter V is not really the leading FGC scene in Japan. In a country that still has a strong Arcade scene, Capcom’s choice of neglecting the platform to focus straight on the Console and PC version of the game, unlike Street Fighter IV, was equal to culling a part of its grassroots community. Nevertheless, Capcom’s strong position towards esports made the game a great passage for all Japanese fighting game players who wanted to go pro. Unfortunately, in terms of story-telling, we will not see last year’s champion, Lee “Infiltration” Seonwoo, defending his title, because of the affairs surrounding him in his home country. But we can expect a lot of Japanese SF legends to come full force in this competition, like they did last year. The likes of Taniguchi “Tokido” Hajime, Umehara Daigo, Kumada “Itabashi Zangief” Hiromiki or Ai “Fuudo” Kenta can be expected as favorites, without forgoting the CPT 2018 champion, Kanamori “Gachikun” Tsunehiro. Rivalries between countries are tough to tame down, especially in esports. But there’s one rivalry that can never burn out, as long as Tekken will be played competitively. And that will be Korea versus Japan. 15 years in the making, this is what built the whole meta around a competitive game that had some downtime in the West, but was never toned down in SEA. Especially since those games are huge Arcade hits in this region. Tekken, along StarCraft in Korea, was broadcast on TV, long before Tekken had the stable competitive circuit it has today, the Tekken World Tour for its third consecutive year, now. Tekken 7 is more of a “System game”, rather than a “Character game”. While character-knowledge is still vital in high-level play, they all share the same tools that can be used efficiently, to counter other tools. The Grand Final of EVO Japan 2018 was a textbook example of this statement, with constant counter-pickings of characters from the two ROX Dragon team-mates Knee and Chanel. The whole final saw 6 different characters, while Knee (Bryan, Steve) was not even using the character (Paul) that got him in the Finals of the same tournament. Seeing that much high-level consistency in a variety of characters in just 2 First-to-Threes was a real treat. But while this final was, yet again, 100% Korean, we shouldn’t count out the home-turf advantage. Hamazaki “Noroma” Takumi, also capable of using a vast arsenal of characters, can also be a serious threat to the Koreans. Kachi “Pekos” Yota, another noteworthy player participated in what was considered to be thethe best Tekken tournament match in 2018. Tani Kana (Tanukana), the sensation during the early stages of the Tekken 7 scene, could also be a fierce opponent..
There’s a lot to expect from this tournament. The article’s main focus was on the local fighters out there, but there’s something more worth mentioning. In terms of travel, and because of the date in the year, EVO Japan is considered to be more accessible for foreigners, with less expensive plane tickets to do the trip, compared to the likes of Las Vegas and its Mandalay Bay in August. This is especially beneficial for the Europeans’ greatest players, placing them at better position than their North-American rivals. We’ll explore more about the rest of the other games with the other articles coming soon, that will dig deep into other titles published by Arc System Works, with the likes of Guilty Gear Xrd REV 2 and Blazblue Cross Tag Battle. EVO Japan is coming and here're the ins and outs of the upcoming competition, with all accompanying events.